Emotionally abusive relationships are very common. 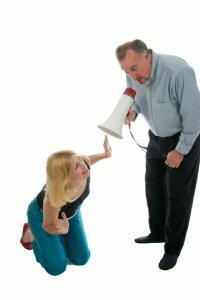 The basis of emotional abuse is the desire to control your partner. When this desire manifests itself as hurtful words and actions against your partner, that's when it becomes a real problem. Most human beings seek comfort, support, and love from their relationship. An abusive relationship does not provide that, and it harms one of the partners in all sorts of ways such as causing emotional pain, feeling incapable, unworthy, and trapped. The problem is that sometimes a man or a woman who is in an emotionally abusive relationship, doesn't even realize it. An abusive relationship is very detrimental for the partner who is being abused and also for their children. That's why it's so important to learn about the signs of such a dysfunctional relationship. The following are the most common signs of abuse. If you feel that every aspect of your life, your physical appearance, your mental state, your intelligence and your general performance are being criticized or questioned by your partner, it's a bad sign. You might also be constantly given various suggestions about what to do and how. Sometimes that's not a bad thing. It's all according to what is said, how it is said and when it is said. If you notice that your partner disallows you to see some of your close friends, your family members, and other important people; it's a sign that your partner is trying to prevent these people from influencing you in any way. The motive is to keep you under total control. If you see that you need to report about your everyday activities, defend your choices, or start to only choose the things that your partner would approve of; it's a sign that your partner trying to control and manipulate you. Other signs include threats about hurting themselves, you or your children. Controlling all the finances and assets in the family, when there is no real need for it, can be another sign of an abusive relationship. Furthermore, humiliating you in front of other people is the act of an abuser. If you feel trapped, threatened, manipulated, and helpless it's very important to start working on getting help and to start taking action.